Please note that there were many more vendors at PaleoFx. These just happened to be the most reputable & impressive. The order of these is based on my personal opinion. Ranking aside, they are all fantastic. There were tons of bars and to-go items at the expo, but this one was one of my favorites. 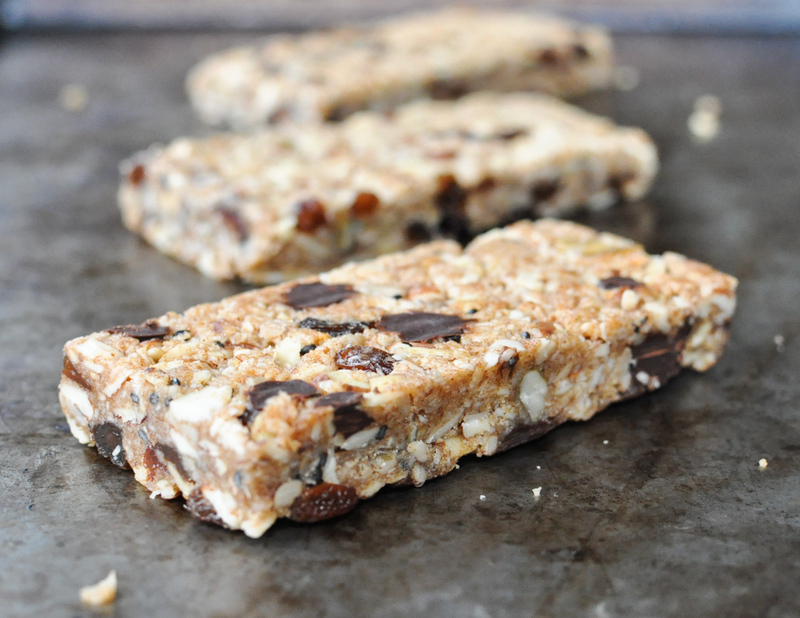 It is a primal bar that is Paleo friendly.Granilla bars are a mix of shredded coconut, a blend of seeds, almonds & pecans with some dark chocolate chunks or a combination of dried fruits. The carb count was 23g a bar. However, the taste was great and a very promising substitute to a granola bar when living the on-the-go lifestyle. 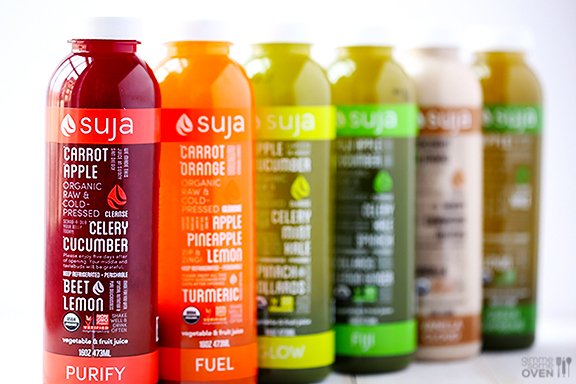 Suja Juice was not only Paleo friendly but, pretty standard at Low Carb. It is a great juice that tasted wholesome and refreshing. My favorite was personally the Lemon based flavor because it resembled a strong lemonade. Suja juice seems to be a popular detox and provides many vitamins and nutrients that you could definitely use when you are depleted. I have one flavor of this available on My Store, and plan on getting more! This was one of my favorite nut based granolas that we saw. They are mainly made mostly from nut base and honey. 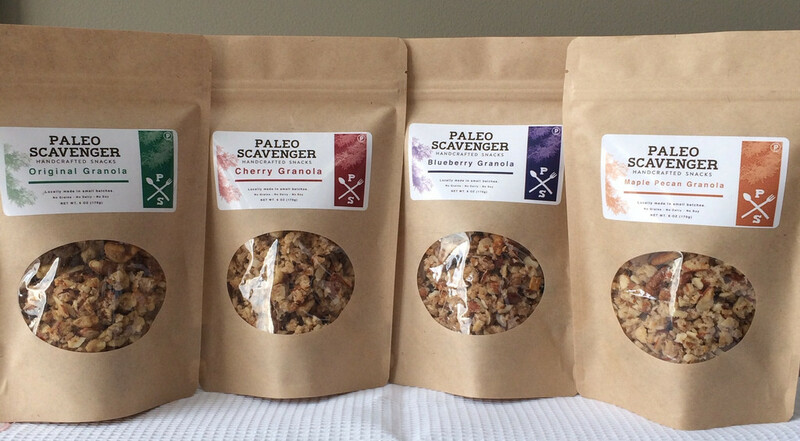 The granola is Paleo friendly and delicious accented with honey, vanilla, and a combination of many flavors. The carb count on the standard bag was at 7g per serving. I really enjoyed this product and would encourage it if you like parfaits, granola toppings, or just something to snack on. I met the owner of this product and I really liked her and felt like she was a very reliable retailer and cook for someone wanting to purchase for their Paleo pantry. Bulletproof coffee is a company all about making the average cup of joe healthier. They became most popular with their butter & MGMT oil concept, encouraging people to drink high fat healthy coffee. (Which I am in love with.) 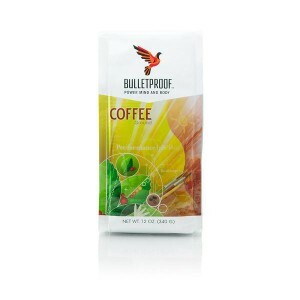 Bulletproof was selling their upgraded coffee with the oils they used in their sample. Both were great and naturally we had to purchase both on the spot. I have both for sale on My Store & a Recipe on how to create this dreamy coffee yourself. I really liked Pure 7 Chocolate because it is one of the healthiest chocolates there is. They have a high level of cocoa and are naturally sweetened by honey. Pure 7 Bars are Paleo and tastebud friendly. These were one of my favorite chocolates that we saw. They are available on My Store. 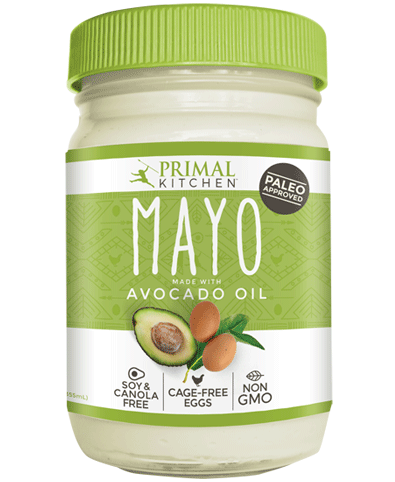 The Primal Kitchen is one of the best known companies in the Paleo industry. They had a booth set up mainly pushing for their new Mayo made from avocado. I’m not the biggest Mayonnaise fan and even I enjoyed it. It’s Paleo friendly and got loads of good fats. You can purchase Primal Kitchen combination products on My Store. eXo is a brand that makes protein bars that are gluten free, dairy free, grain free, and Paleo friendly. Their secret and protein source is crickets. 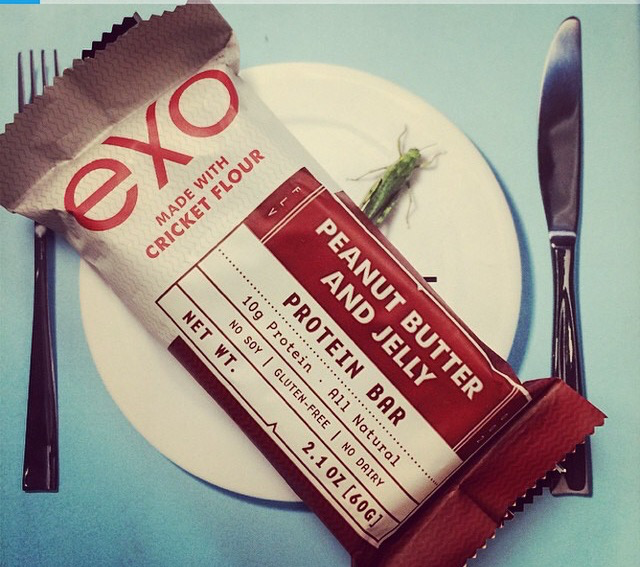 eXo makes all of their products out of cricket flour and highly encourages it as a sustainable protein source. You can read more about eXo in my article This Post Might Bug You and purchase their products on My Store. Wild Foods is a company that really has incorporated going back organic in their business model. There products are from around the world and offer a unique and cultural taste. They are business that encompasses many unique aspects and promotes health alongside of that. 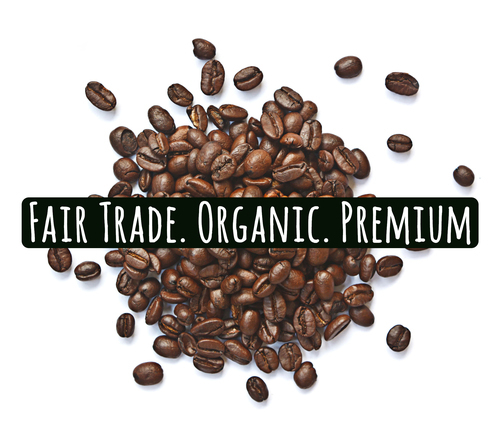 I mainly tried their coffee product which I have for sale in My Store. 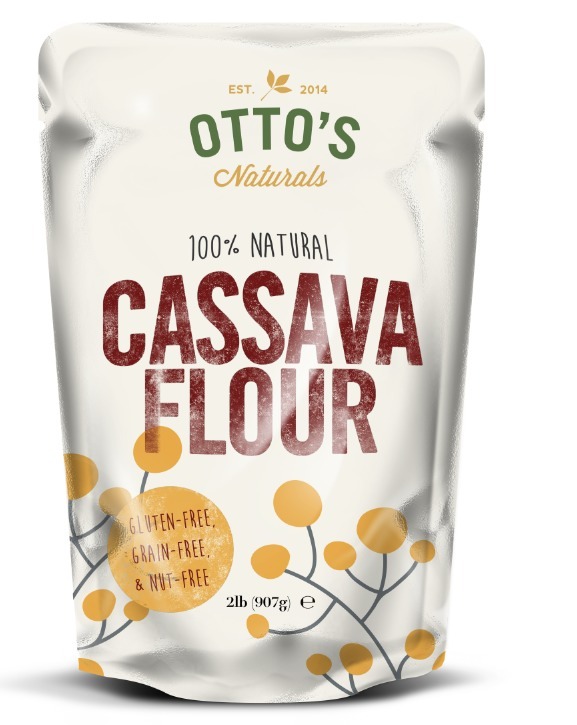 Otto’s naturals gave us a unique and delicious torilla made from Cassava Flour (for sale in My Store). It’s grain free and offers a great gluten alternative at no expense to taste. Otto’s naturals was one of the first vendors we visited, yet still left me tortilla cravings after we had left. Taza Chocolate was my favorite chocolate vendor at PaleoFx. 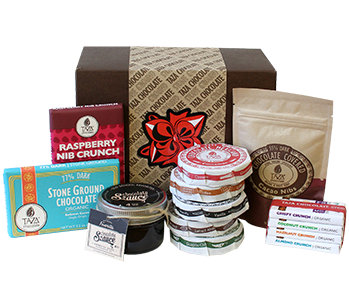 Paleo friendly and offering high, healthy levels of cocoa, Taza chocolate tasted great and came in many flavors. My personal favorite is their Sea Salt with Almond. You can buy Taza chocolate on My Store. 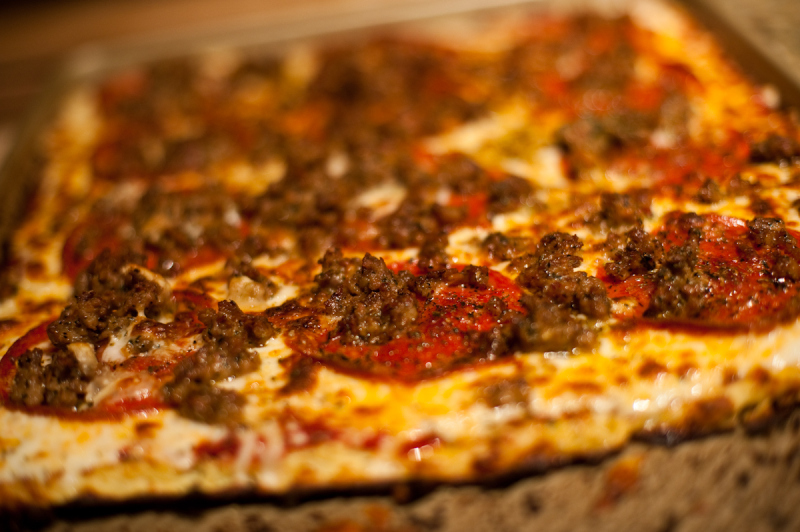 Paleo Md Pizza was ready made at purchase. Not only did it taste amazing, it was convenient. MD Pizza is frozen and reheated much like a frozen dinner. It tasted way better than a common frozen dinner though. Paleo MD Pizza was Paleo friendly with it’s main bread base being almond flour. Fox Hill Kitchens is actually a company that just launched a few days ago. They make AMAZING Paleo Bread. Literally the best I’ve ever had. They are a new company and I’m not sure what their overall background is, but be on the lookout because Fox Hill Kitchens is absolutely incredible. Hopper Foods is another company that uses cricket as their main source of protein. Not only is their granola delicious, on the god friendly and practical, the source of protein is great for you and very eco-friendly. 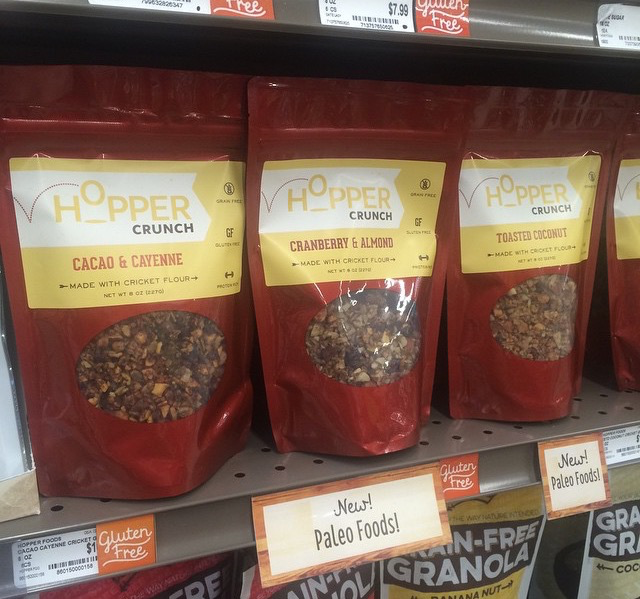 We couldn’t leave PaleoFx without products from Hopper Foods even though we probably ate a full bag of their granola in samples. Read more about Hopper Foods in my article This Post Might Bug You. 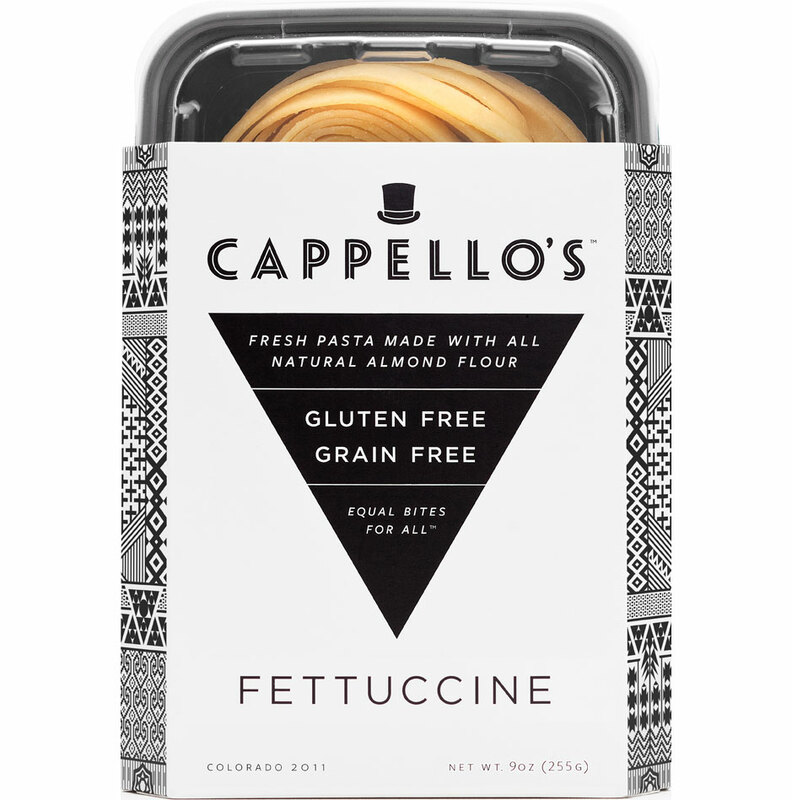 Capellos is a gluten free & grain free noodles and cookie dough. This was simply just one of the best tasting things that I tried at PaleoFx. It was delicious. Capellos is increasing in popularity and will hopefully be available in more local stores very soon. You can purchase their products on My Store. And the winner is…Love Bean! 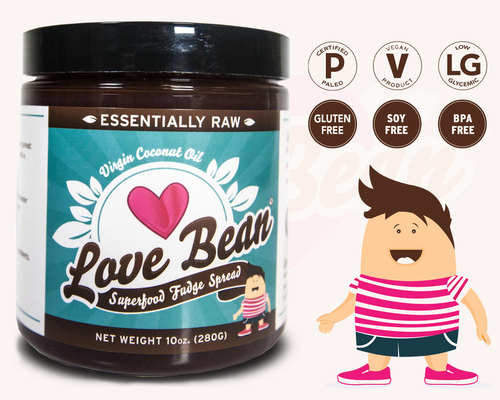 Love Bean was the hands down the best tasting product that I saw at PaleoFx. It almost resembled a Nutella (But better) taste, while they had other flavors such as salted carmel. I didn’t purchase anything until after I had seen every vendor and by the time I got back around to Love Bean, they were sold out of flavors! Nevertheless, their spread still stole my heart. They are high grade vegan & Paleo, food company but not low carb. The use coconut oil based which promotes a healthy fat instead of usual starchy spreads. Plus you’re eating fudge and that’s just awesome. This is the best tasting little spoonful of Paleo anything I’ve had in a long time and I encourage everyone to at least try it. You can purchase select flavors on My Store. Thanks for reading! Check out select products at My Store and be sure to try all of these Paleo Products! Follow @NoCarbLamar on Twitter & Instagram and please give feedback! Click to follow this blog and receive notifications of new posts by email. Be the first to get the latest Paleo, Keto recipes & info.